The State of Palestine’s ascension to the Rome Statute of the International Criminal Court offers the global tribunal a choice between two clear paths into the future. By launching a serious prosecution of Israel’s crimes against Palestinians, the court can begin to repair its tarnished reputation, restoring confidence in the impartiality of the justice it dispenses. Its failure to do so would confirm growing suspicions that it has little purpose beyond helping the world’s old empires police their former colonies. Meanwhile the court rejected numerous opportunities to defend Palestinians, even as Israeli encroachments on their land and attacks on their lives escalated. On January 22, 2009, four days after Israel’s first military onslaught against the besieged Gaza Strip ended, the Palestinian leadership filed a declaration accepting ICC jurisdiction. Then-prosecutor Luis Moreno Ocampo refused to accept it, claiming that Palestine’s observer status at the United Nations did not qualify it as a state. Following another round of Israel-inflicted bloodshed in the Gaza Strip, the UN General Assembly voted overwhelmingly to afford Palestine non-member observer state status on November 29, 2012. The ICC’s new prosecutor, Fatou Bensouda, once again declined to open an investigation, arguing that the court could not treat Palestine’s new status retroactively for purposes of legal jurisdiction. Last November, Bensouda blocked further investigation of killings by Israeli naval commandos of nine Turkish activists and one Turkish-American on a flotilla challenging Israel’s naval blockade of the Gaza Strip. She said that although her office’s preliminary examination found “a reasonable basis” to suspect war crimes, the deaths lacked “sufficient gravity” to merit further action by the court. 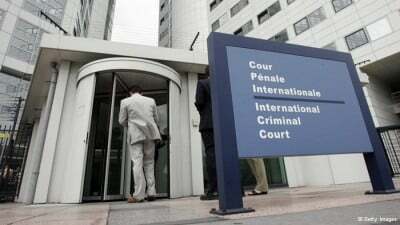 Defenders of the ICC may argue that the court faced substantial hurdles to establishing its jurisdiction in Palestine, particularly reluctance by Pres. Mahmoud Abbas to claim statehood at the UN and ratify the Rome Statute. But its critics will note that many African governments joined the court under pressure from European donor countries, often as a condition for participation in the Cotonou Agreement, a trade pact offering duty-free access to EU markets. Through their membership, Palestinians have withstood the opposite sort of pressure. In the United States, a major backer of the Palestinian Authority, Pres. Barack Obama signed an appropriations bill mandating an end of aid to the PA if the Palestinian leaderships files or “actively supports” a case against Israel at the ICC. And the PA’s tax revenues, collected by Israel as the occupying power, remain punitively frozen for months after Palestinians ratified the Rome Statute, crippling local administration and impoverishing families. A legal system with a purview determined by a small number of the world’s wealthiest and most powerful governments, many of which have chosen to exempt themselves from it, through various forms of economic blackmail, hardly resembles a system of justice. If the arbitrary nature of the ICC’s jurisdiction, driven by the wiles of donor states and occupiers, cannot be blamed on the court itself, it can hardly be counted in its favor. But despite these structural challenges, the ICC now has an opportunity to begin redeeming itself. With signed documents filed in the Hague, no legal barriers – or excuses – remain to obstruct an investigation and prosecution. Israel’s massacre of over 2,100 Palestinians, including more than 500 children, maiming of thousands more, and wholesale destruction of civilian homes and neighborhoods in the Gaza Strip lie only months behind us, and its construction of illegal settlements on Palestinian land continues at full speed in the West Bank. The way for the court to restore accountability is obvious. If it shirks its responsibility, the blow to its legitimacy will be devastating. When I met Issam Younis, executive director of the Al Mezan Center for Human Rights, in his Gaza office shortly after the explosions ended last summer, I noticed his gentle, relaxed demeanor. Despite the killing of his father and mother-in-law, an employee, and untold extended family and friends over Israel’s 51-day bombardment and invasion of the Gaza Strip, he had fixed his eyes firmly on the future. For his sake, and the sake of countless other Palestinians grieving their losses and struggling to defend what remains of their land, I hope his optimism was well-placed. Supporters of the ICC should share this hope. The stakes for the system they champion could not be higher. Joe Catron is a US activist in Gaza, Palestine, where he works with Palestinian groups and international solidarity networks, particularly in support of the Boycott, Divestment and Sanctions (BDS) and prisoners’ movements. He co-edited The Prisoners’ Diaries: Palestinian Voices from the Israeli Gulag, an anthology of accounts by detainees freed in the 2011 prisoner exchange, blogs at joecatron.wordpress.com and tweets at @jncatron.